During my time as a an athlete or should I say hurdler, I had minor scrapes and bruises throughout my high school and collegiate career. My first encounter with tea tree oil came after a fall during my senior year in high school at our conference track and field meet. While I was competing in the 300 meter low hurdles, I fell and scraped my knee badly. Not only did I lose the lead as a result, but I scraped the skin off my knee down to the white meat (also called your subdermis for my health nuts)! So, my teammates mother decided to pour some tea tree oil on my knee undiluted to make sure my scrape did not get infected. Now, I must say diluting the tea tree oil would have been a better idea because there was a sting to go along with the drop of tea tree oil as the oil is really strong to begin with. Needless to say, my knee healed pretty quickly and no germs invaded my body. Nowadays, I often treat my scrapes and bruises with tea tree oil and water to kill any germs or bacteria followed by a few drops of vitamin E oil on the bruise or scrape to prevent scarring. Although, tea tree oil can be used for more than preventing bacteria infections externally, tea tree oil is also good for treating fungus infections too! 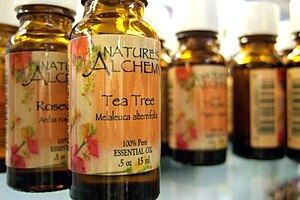 I have found that tea tree oil baths are good for dry skin, eczema and yeast infections! Did she say yeast infections? Yes, tea tree oil has been used to treat yeast infections. In fact, some people believe that because tea tree oil has such a strong odor that it should not be used for such things, but they are so wrong! Most people suggest that tea tree oil should be diluted, using only a couple of drops with water and either applying it as a rinse or add to a lotion or shampoo to treat fungal and bacterial infections. 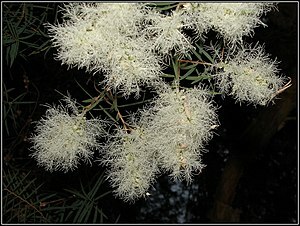 Tea tree oil bath have been suggested for women especially after a vaginal delivery, to prevent any bacterial infections that attempt to enter in after all the poking and probing the physicians, and a medical staff initiate. After all who knows where the physicians gloves have been even if they came straight out the box . In short, tea tree oil is a great anti-fungal and antibacterial remedy and these are just a few ways I use tea tree oil. However, I am not a physician or a medical doctor so please make wise decision on your own behalf and consult your physician when in doubt but always do your own research. Many people have argued the role of religion and spirituality in health. For a while, some researchers felt religion had no place in health and that it was a sign of mental illness (Schneiderman, 2001). Recently, researchers have revisited the impact of religion and spirituality on health through surveys and community forums. The role of spiritual belief or religion was polled through many communities, identifying personal beliefs and the importance of religion in health. For example, Koenig, cited in Schneiderman, identified in a 1996 report that 90% of Americans pray daily, and most use prayer as a coping mechanism. If people are identifying prayer as a coping mechanism mostly for health related problems, then how could religion not be important or relevant to health? Apparently, religion and spirituality are important and have been measured by the responses from surveys, such as the Ellison Spiritual Well-Being Scale. This scale is used for personal and congregational spiritual well-being to measure religious, spiritual and existential well-being. One article entitled Health Programs in Faith-Based Organizations: Are they effective, identified various programs that offer religious and spiritually based health programs through FBO’s (Faith Based Organizations), and surveyed results from literature reviews of programs that were identified as effective. Of these programs, most reported reducing weight and increased knowledge about health related problems (Dehaven, et al, 2004). If these programs revealed these positive results, why is physical health often a topic left out of religion? Unfortunately, the researchers and some religious and spiritual leaders appear to be in agreement with excluding physical health from religion and spirituality. Today, some spiritual and religious leaders appear only to be interested in the spiritual man or woman, and not the physical, leaving physical appearance and physical health aside. Most are so busy with Kingdom work they hardly have time to keep up their physical and nutritional health, so think of how difficult it is to assist others with theirs. The Bible speaks about health often and how it should increase our quality of life. In (3 John 1:2) “Beloved, I pray that you may prosper in all things and be in health, just as your soul prospers.” In reading the Bible, I found out some healthy eating habits too. Did you know that the first diet in the Bible is one that most vegetarians practice and probably do not know it? Found in GENESIS 1:29 “And God said, Behold, I have given you every herb bearing seed, which is upon the face of all the earth, and every tree, in the which is the fruit of a tree yielding seed; to you it shall be for meat”. After having attended several churches, and sitting through several sermons by various ministers, I noticed that the “seed” is often discussed not in the context of the fruit or food in which we eat for physical nourishment, but in the context of mental and spiritual nourishment. For instance, how many of you have noticed a large amount of overweight or unhealthy religious and spiritual leaders? Although some people choose not to talk about this, it is a reality and is often a topic most religious and spiritual leaders dodge. Unfortunately, spiritual and religious leaders are into motivating and building soldiers for the Kingdom of Heaven, thus, when discussing a person’s weight or health-related problem the potential to hurt one’s feelings become a reality. However, a soldier is supposed to be mentally and physically fit so they can withstand the enemy’s traps. So what kind of army are religious and spiritual leaders attempting to build if physical and mental health is not a priority? Most spiritual leaders talk about enduring pain but often have trouble describing the journey after having never completed or attempted a physical race. If health programs offered at religious institutions using spiritual wellness to incorporate physical wellness succeed, then why are there still lots of religious and spiritual institutions not incorporating this? Well, we have to realize that some faith-based organizations do not have the time nor space to incorporate such programs. In addition, some faith-based organizations do not have the staff or resources to incorporate such programs. However, after learning about the positive connection between religion, spirituality and health, we still face the dilemma of educating our family and friends of these benefits. This brings me back to my original question of, what is the relationship between religion, spirituality and health? The relationship is if you want to reach your highest potential then religion, spirituality and health should work in concert with each other. Because, without spiritual knowledge, one might lack perseverance, yet without the physical fitness, how can one endure life, but without health how long can a person live. So what is the relationship between religion, spirituality and health? Everything. Schneiderman, N., Speers, M.A., Silva, J.M., Tomes, H., Gentry, J.H. (Eds.). (2001). Integrating behavioral and social sciences with public health. Washington, D.C.: American Psychological Association. DeHaven, M., Hunter, I.B., Wilder, L., Walton, J.W., Berry, J., (2004). Health Programs in Faith-Based Organizations: Are They Effective? American Journal of Public Health, 94, 1030-1036. I was visiting my brother in the hospital when we started discussing weight loss, but somehow ended up talking about the “real” nutritional value of his hospital food. Now, before I go any further, let me start by explaining why my brother was in the hospital in the first place. My brother was admitted in the hospital for having chest pains, which the doctors later discovered was a result of being overweight. I sat in my brother’s room explaining to him that he needed to begin a healthy diet and exercise regimen that would maximize his weight-loss potential over the course of three months. My brother and I also discussed the benefits of him possibly trying a “liquid” diet to detox and lose weight faster. During this discussion a nurse entered his room and began to eavesdrop on our conversation. I am assuming she thought she knew what I meant by a liquid diet, because she immediately interjected by saying “a liquid diet is not healthy, you need protein, and meat is necessary for you to get protein in your diet, sweetie“. I immediately responded that protein could also be obtained from fruit, vegetables and legumes, but for some reason (perhaps my young appearance and her being older than me) she did not believe me. The nurse proceeded to tell us a story about a friend of her’s who attempted a juice diet of what sounded to me like a combination of unhealthy carbonated drinks, perceived “natural” juices, and sodium filled vegetable drinks! Needless, to say this friend of the nurse did not have a good health outcome according to her memory. I attempted to explain to the nurse that the juice diet I was referring to only consisted of whole organic fruit and vegetables that were freshly pressed into juice at home using a juicer! Unfortunately, the lady nurse appeared offended that some “layperson” or “hospital visitor” could have knowledge about nutritional value, especially when the hospital’s liquid diet prescribed for my brother was not compliant with what I was saying! Surprising to me, even though I am no expert in nutrition, I could have said the same thing about her, the hospital staff responsible for the meals, and most medical doctors for that matter! Consequently, my brother had explained that his meals consisted of chicken broth (simply stated, juice, and seasonings boiled out of the chicken and occasionally vegetables into the water), carbonated drinks (sounds familiar), “natural juices”( in other words, sugars and juice from concentrate), and lastly water. Needless to say, my brother jumped on the band wagon with me as he remembered 6 months ago when he tried the juice diet I was referring to, he not only lost 15 pounds in a week, but also felt better. The downside to his experience was that he did not learn to eat healthier meals after the detox. When the lady nurse heard from my brother about his experience she walked out with a dumbfounded look on her face dismissing everything she heard. As a result, my brother and I turned to each other in amazement and felt saddened that we could not reach the nurse. In fact, most people have actually made life so complicated that they have forgotten the basics of what is required to survive. When people hear words like organic (which means naturally occurring state) they think it’s chemically modified and when they read labels that say “natural” they think of pure and whole, when in fact this is not the case at all. Can you believe that I have actually met people who actually thought “real organic” apple juice is the clear brownish color often seen among some brands compared to the more cloudy dark brownish color that comes out of your juice at home after running an apple through the juicer! Too many times have I saw people turn down authentic organic food for artificial stuff and swear up and down that they have the “real thing”. Until we reach a point of getting back to the basics and recognizing real food then this conundrum behind a nutrition meal will continue to be a problem in many hospitals, a place where people are supposed to receive an honest effort to get well. This week I accidentally stumbled across another use for peppermint oil. I started running routine again after taking a long hiatus from the road, not to mention giving birth to twins! So, five months later I decided to restart my running sessions. Well, my mind was telling me I was physically and mentally prepared to dive into the sport of running, however my body did not agree. Lets just say my shins screamed the loudest for me to stop. After returning home from my first week of training, I prepared to take a long bath to soothe some of the aches and pains, including the shin splints I developed. Consequently, I ran some bath water and started looking through my medicine cabinet for some ‘good ole’ home remedies.After noticing my tea tree oil, peppermint oil, lavender oil, and rose hip seed oil, I thought about how I could use these goodies. All of the previous mentioned oils can be used for skin treatments of some sort, but then again I needed something to soothe my pain. For this reason, I thought if I added a couple drops of the lavender oil to my bath water, then this would at least relax me and rejuvenate my skin. Fortunately, (and I say fortunately with good reason) I mistakenly sprinkled around 8-10 drops of peppermint oil, which I thought was lavender oil in my bath water instead. After, realizing my mistake, only after the lovely and intense aroma of the peppermint oil rose to my nose, I realized I sprinkled the wrong essential oil. I am happy to say that my mistake did not dissuade me from proceeding with my bath. Instead, I managed to sit in the tube for 2-3 minutes before I started experiencing a cold shiver that seemed to be affecting the lower half of my body ( the part of my body that was fully submerged in the water) only. As a result, I started to experience a menthol-like cooling effect and tingle feeling that felt like the ice baths I used to take as a college athlete after track meets! Needless to say, after realizing the good consequences of Peppermint oil to achy legs, I smiled and thought to myself, I will not use those smelly creams to soothe my pain anymore, but will apply natural remedies like peppermint oil to reduce joint inflammation!